What Does Consumer Affairs Do? Investigates and mediates individual complaints. Investigates the business practices of a particular business or industry when patterns of fraud appear. Enforces the Consumer Fraud Act and state regulations. Refers complaints to the proper agency when necessary. Conducts educational programs through speaking engagements, radio and T.V. Distributes publications warning consumers of unfair and deceptive business practices. We cannot handle every kind of complaint. If we can't handle yours, we will put you in touch with someone who may be able to assist you. We cannot impose a resolution on either party. 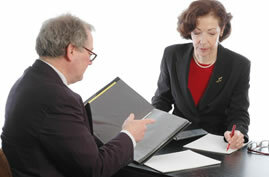 We cannot give legal advice or act as your lawyer. We cannot recommend one business or product over another. We cannot control the price for which a merchant sells his or her goods and services. The NJ Division of Consumer Affairs mandates that county offices perform task force inspections several times a year. The purpose of these inspections is to verify that businesses are in compliance with State regulations. Other inspections are conducted to ascertain the whereabouts of a business, such as to confirm if a business has moved or to gather information from neighboring businesses. In addition, on-site inspections are conducted to confirm the validity of factual information received in a particular complaint. This department serves as a source of information to consumers. You can obtain a complaint history on a business prior to doing business with a particular company. We are able to provide this very important information to the public.